Rahul Pharmacy :: Navsari :: Gujarat :: India. Ayurvedic medicine, in the United States, is an "alternative" medical practice that claims it is based on the traditional medicine of India. 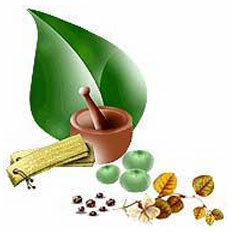 Ayurveda is derived from two Sanskrit terms: ayu meaning life and veda meaning knowledge or science. Since the practice is said to be some 5,000 years old in India, what it considers to be knowledge or science may not coincide with the most updated information available to Western medicine. If you can wiggle your toes with the mere flicker of an intention, why can't you reset your biological clock? If you could live in the moment you would see the flavor of eternity and when you metabolize the experience of eternity your body doesn't age.Ayurveda is the science of life and it has a very basic, simple kind of approach, which is that we are part of the universe and the universe is intelligent and the human body is part of the cosmic body, and the human mind is part of the cosmic mind, and the atom and the universe are exactly the same thing but with different form, and the more we are in touch with this deeper reality, from where everything comes, the more we will be able to heal ourselves and at the same time heal our planet. Mr. Minesh C Gandhi, Rahul Pharmacy D-26,First Floor, Udyog Nagar Navsari-396445, Gujarat, India.